Torches include 17, 18, 26, 150, 210, 300, 510, Trimline, FL3L, CKM350, CWHTL300, CWH350, CWM350 and other popular torches of Weldcraft, Lincoln, WeldTec and Profax with similar models. Stubby consumables are compatible with 17, 18, 26, 150, 210, 300, 510 Trimline, FL3L, CKM350, CWHTL300, CWH350, CWM350 torches. Consumables are compatible with the CK510 torches. Torches include 24, 24W, 80, 90, 180, CWH180, CK24W. The item "CKFLTBAV Torch Body, Flex-Loc, Valve, Gas" is in sale since Monday, February 25, 2019. 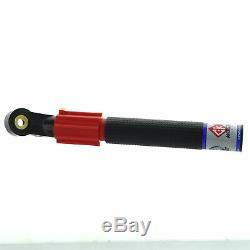 This item is in the category "Business & Industrial\CNC, Metalworking & Manufacturing\Welding & Soldering Equipment\Welding\Welders, Cutters & Torches\TIG Torches". The seller is "weldfabulous" and is located in Winona, Minnesota. This item can be shipped to United States, Canada, United Kingdom, Denmark, Romania, Slovakia, Bulgaria, Czech republic, Finland, Hungary, Latvia, Lithuania, Malta, Estonia, Australia, Greece, Portugal, Cyprus, Slovenia, Japan, China, Sweden, South Korea, Indonesia, Taiwan, South africa, Thailand, Belgium, France, Hong Kong, Ireland, Netherlands, Poland, Spain, Italy, Germany, Austria, Bahamas, Israel, Mexico, New Zealand, Philippines, Singapore, Switzerland, Norway, Saudi arabia, Ukraine, United arab emirates, Qatar, Kuwait, Bahrain, Croatia, Malaysia, Chile, Colombia, Costa rica, Dominican republic, Panama, Trinidad and tobago, Guatemala, El salvador, Honduras, Jamaica, Viet nam, Uruguay.